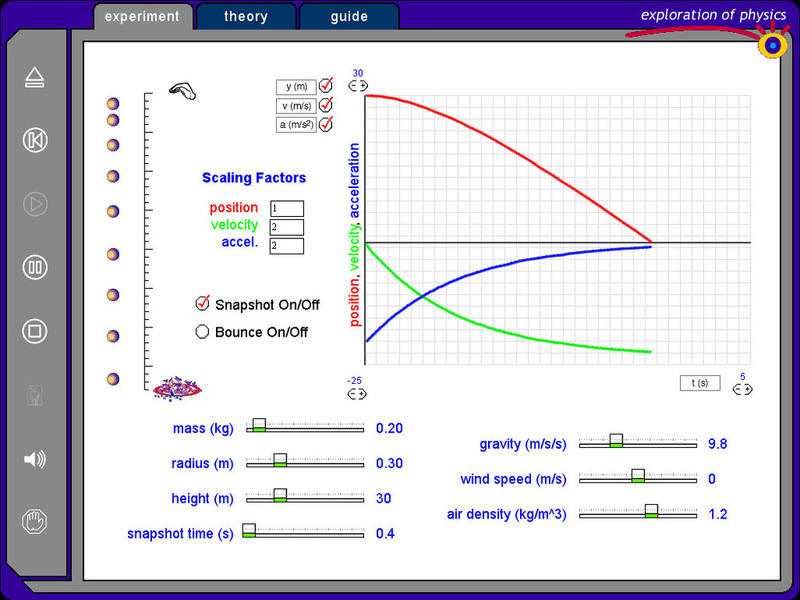 Exploration of Physics: Simulation Library Vol. 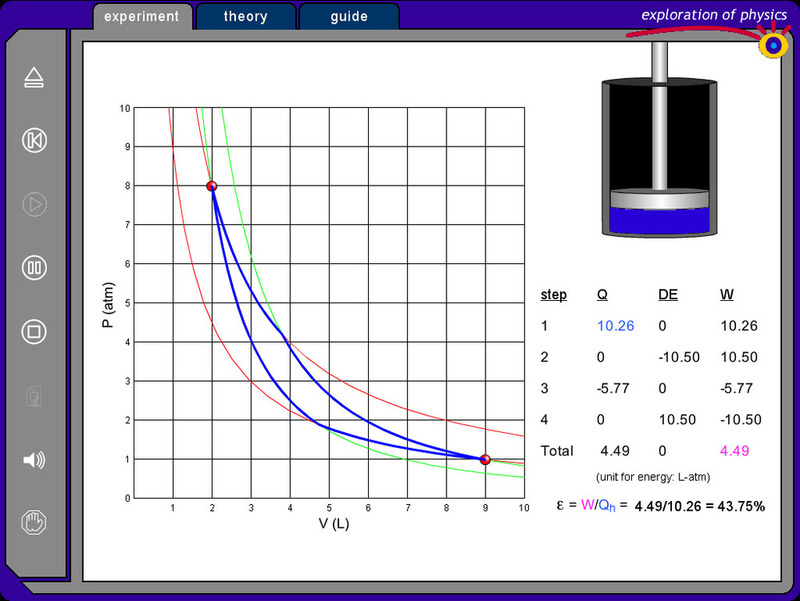 I is a comprehensive software library of physics simulations and labs covering a full year of introductory physics. 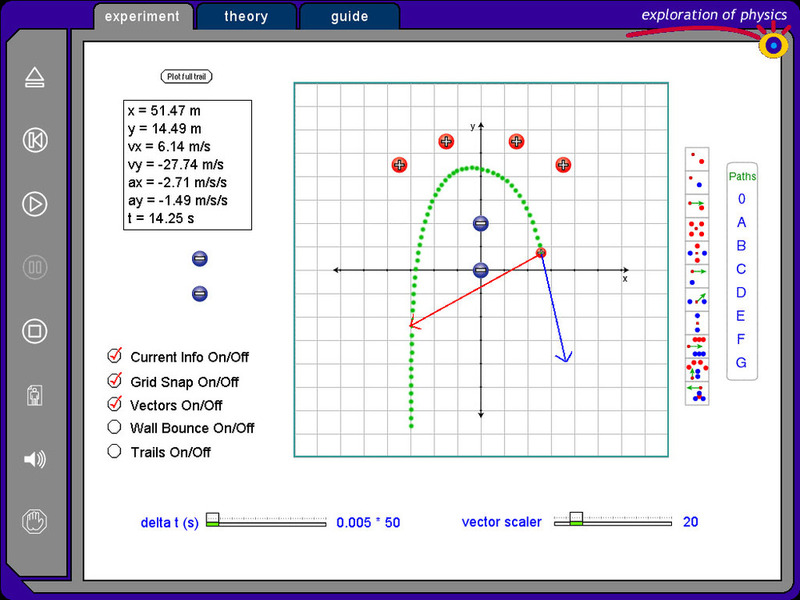 Simple or complex motion events are first created, then students compare the animated motion to the graphs of position-time, velocity-time, and acceleration time. By making velocity and angular measurements of colliding pucks on a simulated air table, students use vector addition to study conservation of momentum. Students perform the famous experiment which provides a way to measure very small gravitational forces and the constant G.
By inputting air density, wind speed, height, mass and radius, students study free fall using ideal and real world conditions. After creating any imaginable incline plane scenario, Newton’s 2nd law is studied with the aid of free-body diagrams. A simulated force table in which the user inputs the magnitude and direction of up to four forces acting on a central ring. Graphical representation of the addition of force vectors is displayed. Students can observe the net force acting on the ring and predict conditions for equilibrium. Single-slit, double-slit, and multiple-slit interference patterns of light are observed. 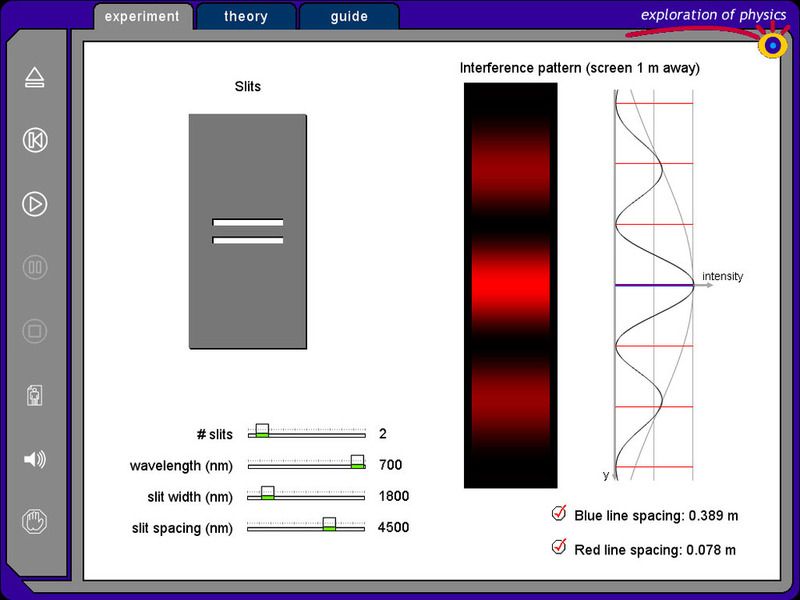 Students examine how variations in wavelength, slit width, and slit spacing affect the interference pattern and corresponding intensity plot. 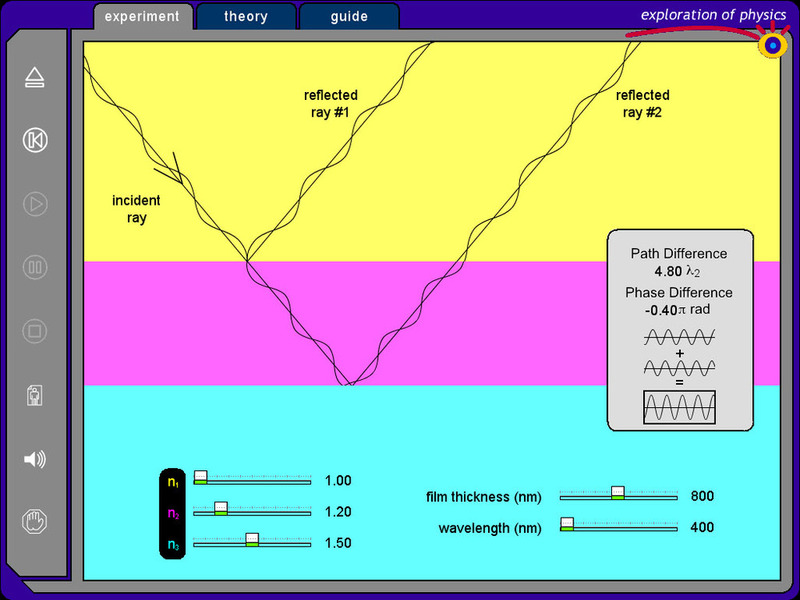 Students explore which frequencies produce standing waves in both open and closed tubes of a selected length. A ray of light is incident on a thin film and the reflected rays interfere constructively or destructively. The variables affecting path difference and phase difference are studied, including film thickness, wavelength of light, and indices of refraction of the film and surrounding materials. Students study factors affecting wave velocity, reflection from a fixed/free end, and constructive/destructive interference. The refraction of light and critical angle are explored. The angle of incidence, index of refraction of glass, and frequency of light can all be varied. Joule’s experiment utilizing a falling mass to stir a container of water. Data is gathered allowing the mechanical equivalent of heat to be determined. The pressure, volume, temperature relationship for an ideal gas is investigated using a movable piston in a cylinder and a P-V diagram. After selecting the initial energy for a variety of atoms, students study the concept of statistical probability and heat transfer. Heat is transformed into work as an ideal gas goes through a Carnot engine cycle. Pressure and volume parameters of the cycle can be varied to observe the affect on work done, heat exchanged, and overall efficiency. Students design a configuration of stationary charged particles and study the interaction of a proton as it moves through the electric field. An "Electric Field Hockey" style game mode is also available. Visualization of an electric field using an array of virtual detectors. Up to 16 point charges can be positioned to create a wide variety of configurations. Students can investigate a variety of basic circuits with variable resistors hooked in parallel, series, and a combination of the two. Ray tracing and image formation is studied as students vary the focal length, object and lens position, and object height for both concave and convex lenses. A fluid flows through a tube in which the area and height on either end is adjustable, allowing changes in velocity and pressure to be observed. Sampling of simulations, hover over image for description. Comprehensive software library of physics simulations and labs covering a full year of introductory physics – Mechanics, Waves, Heat, Fluids, Optics, and Electricity & Magnetism. Vol. I has earned the reputation of being the most comprehensive and in-depth physics simulation software package available! The 64 highly interactive stand-alone simulations and labs cover a full year of introductory physics – mechanics, waves, heat, fluids, electricity & magnetism, and optics are all given extensive treatment. The software program utilizes a simulated lab approach allowing students to perform in-depth investigations. Each simulation employs its own powerful engine that accurately recreates the physical world. Experimental parameters are easily manipulated using an assortment of slider controls; physical behaviors are brought to life using animated graphics that respond to user input; and physical quantities are displayed using digital readouts, graphs, and histograms. 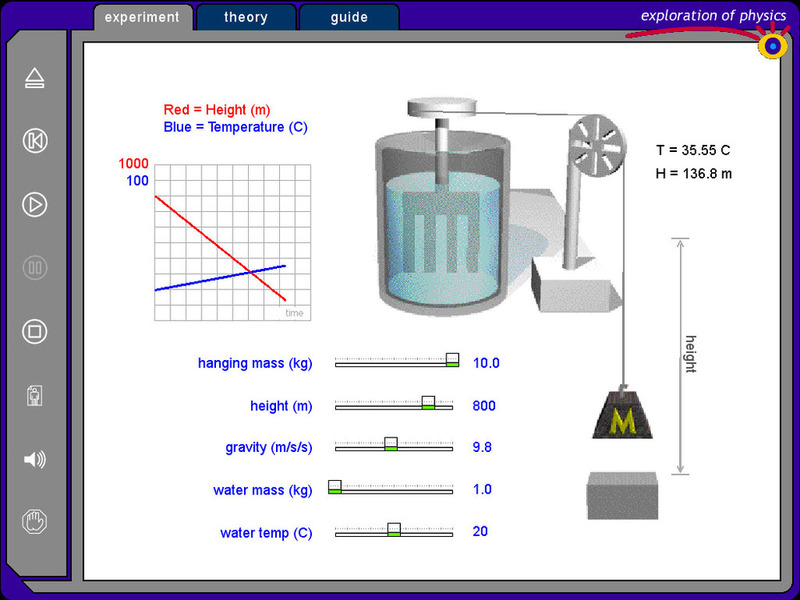 Each simulation also has a readily accessible detailed student lab-guide that provides specific direction for carrying out the lab investigation. 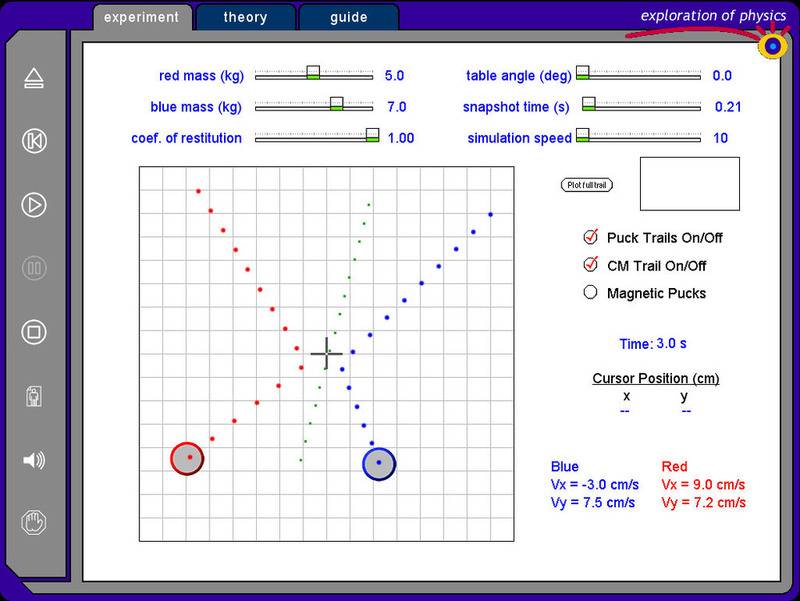 The vast collection of physics simulations and labs may be used in a variety of ways: (1) as an instructor lecture aid for demonstration purposes in front of the classroom, (2) for student use as a computer-based lab activity. 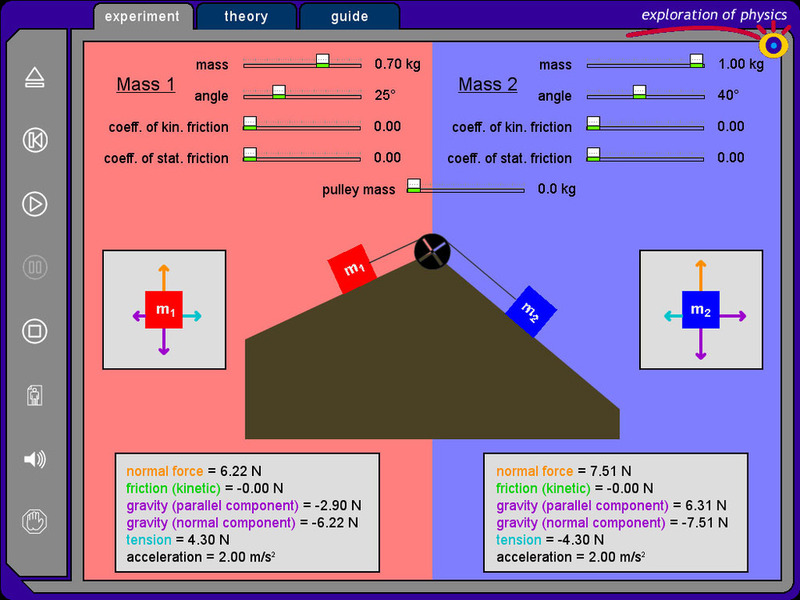 Exploration of Physics simulations can be used to introduce a physics concept, or serve nicely to reinforce and extend a lab (involving apparatus) that has already been performed. The ready-to-run simulations and highly intuitive interface allows first time users to immediately use the simulations and begin exploring with no preliminary time investment – essentially providing a ready-to-go lab experience. 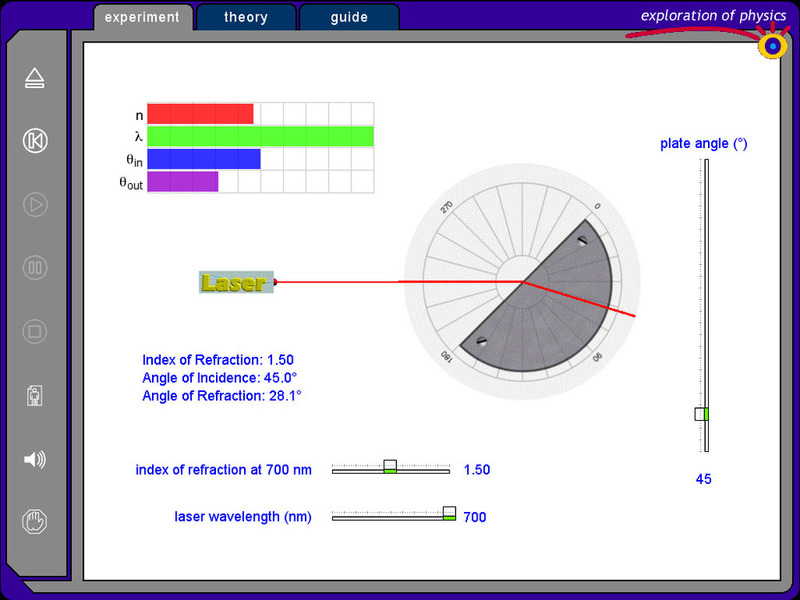 Preview the full version of Exploration of Physics for 15 days—completely free with no obligation to purchase. Fill out and submit the Preview Request below to receive the software via download. 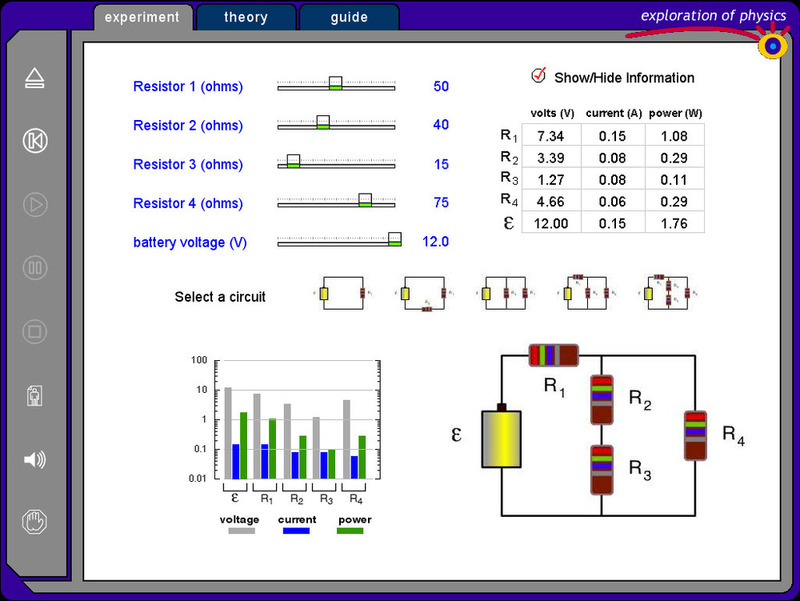 Thank you for requesting to preview Exploration of Physics: Simulation Library Vol. I. Your request has been successfully submitted. You will receive an email containing download information within 24 hours. Please don't hesitate to contact us with any questions.